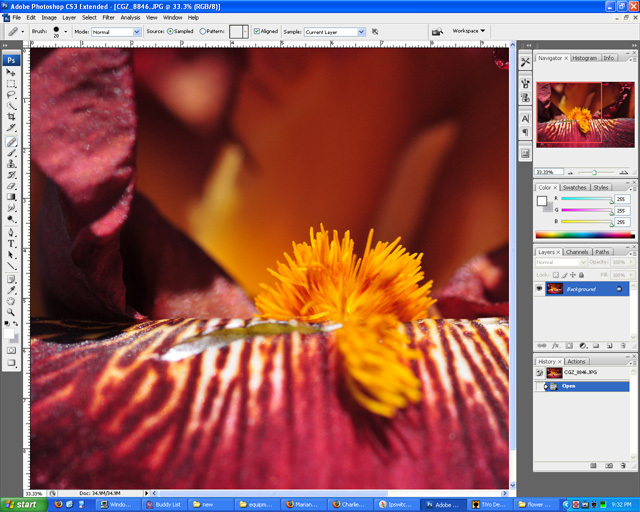 The three main pieces of software that I use are Adobe Photosthop CS3, DxO Optics (versions 4 and 5), and vi (for HTML editing for this site). Also, I use a Wacom Tablet for most of my photo-editing and I find this tool to be worth every penny. Those tools aren't cheap, but the speed at which I am able to edit photos now is phenomenal, and the results are better, too. It is like discovering layers in photoshop again: it just is a whole new world. I am working on reviews of each and when to use them and, perhaps more importantly, when not to use them. Check back in a few days or a week to see more. DxO Optics v5.1 - Recently released. I have put several thousand images through this version and I'm confident enough to author a review. Check back in a day or so for the update but in summary: most of my complaints have been fixed: yay! DxO Optics v5.2 - Just released - and I still haven't adequately finished my 5.1 review - wow!